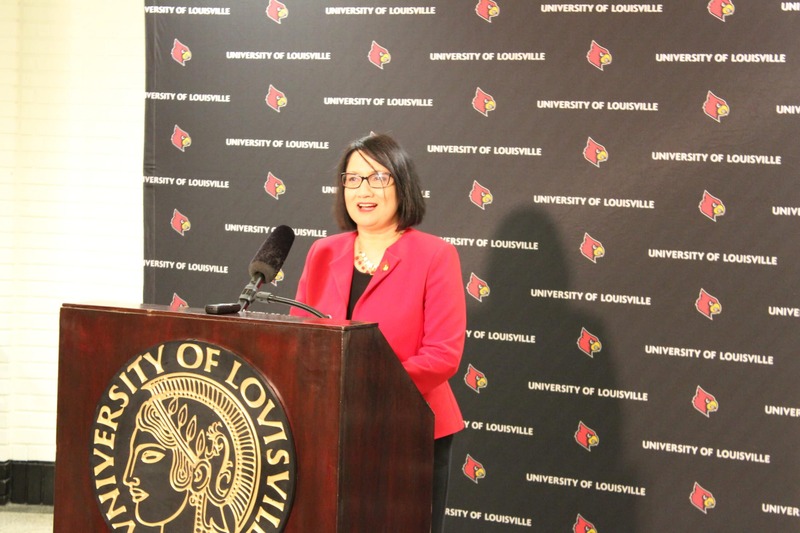 University of Louisville President Neeli Bendapudi addressed student complaints Nov. 5 regarding the living conditions in Threlkeld after a student’s Facebook post went viral. Bendapudi said she has been in contact with the university’s Campus Housing Office and all the reported issues have been addressed. She encouraged students to fill out a fix-it form if they experience any issues. “I have been reassured that each official student report received has been addressed within one day by resolving any environmental issues immediately, or in limited cases, relocating a student to another available room,” said Bendapudi. Bendapudi’s statement was in response to an Oct. 31 post made by freshman and Threlkeld resident Bethany Morgan. Morgan described disturbing living conditions faced by its residents, many dealing with mold growth, cockroach and/or spider infestations, broken plumbing, poor bathroom maintenance, saying all of it was reported, but nothing had been done. As of this article’s publication, the post has received 18,420 shares and more than four thousand comments. In the original post, Morgan said she followed the protocol and submitted a “fix-it” form to housing and reached out to Threlkeld Hall Director Dan Foley, who allegedly said Morgan and her roommate would have to wait. The post was first updated Nov. 2, when Morgan said she visited the offices of both Provost Beth Boehm and President Bendapudi saying both were unavailable. Morgan said she left a message describing the situation and received a call from campus housing. “I tried to be as polite as possible. Unfortunately, I cannot say the same for the campus housing staff on the other end of the phone who attempted to argue with me and say the issue was completely resolved and there was nothing wrong with our dorms,” Morgan said in her post. Morgan contacted local media outlets and the campus health department, hoping the garnered attention will bring change and the issues be resolved. Bendapudi met with students living in Threlkeld over the weekend to have their concerns heard and addressed. “After our staff was notified of a recent social media post, housing officials met with Threlkeld Hall residents this weekend, sought student input and immediately started responding to all student issues that were reported,” Bendapudi said. Bendapudi said all reported issues at Threlkeld Hall from this fall semester have been addressed within one business day. After Bendapudi addressed the post, Morgan added another update Nov. 5 apologizing to Bendapudi. “Through unfortunate events that lead (sic.) me into [Bendapudi’s] office, Friday, I left a message for her to receive upon her arrival back. To my misunderstanding, Dr. Bendapudi never received this message and was unaware of what issues were happening on campus,” Morgan posted. Morgan said Bendapudi got in contact with her and other students who had concerns about Threlkeld and other dorms around campus. Fellow freshman and Threkleld resident John-Michael Saylor said Morgan’s experience is not true for everyone in the dorm. “As far as mold and cockroaches I have not seen any and have not been told about any on my floor or in my room,” Saylor said. Saylor lives on the men’s side of the third floor, one floor below Morgan where the mold, cockroaches and spider infestations took place. “Sometimes the hallways do smell off, but no one has mentioned mold to me,” he said. Bethany Morgan had not responded for comment by time of publication.